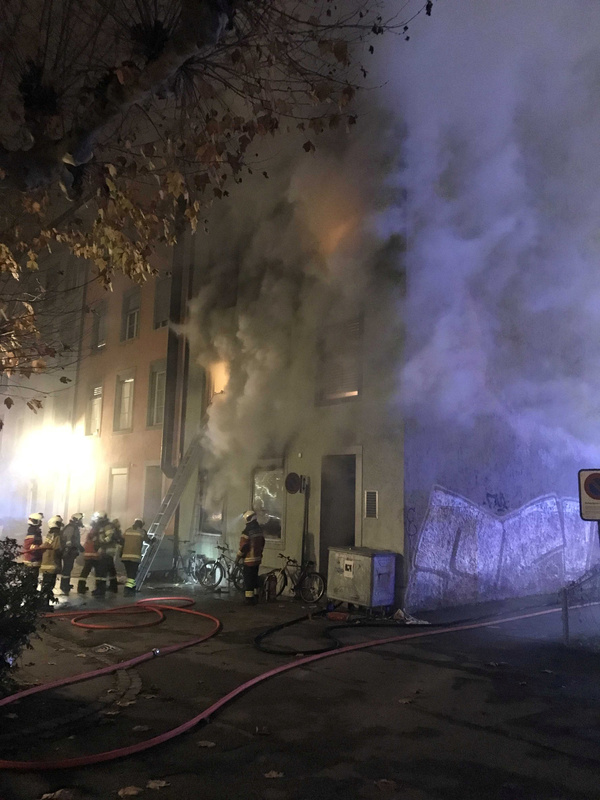 Firefighters are seen in front of a house where six people were killed in an apartment fire early on Monday morning, police said, while an unspecified number of others caught in the blaze were taken to the hospital in Solothurn, Switzerland November 26, 2018. Polizei Kanton Solothurn/Handout via REUTERS. Preliminary investigations suggested the fire had been caused by improper use of smoking equipment, and one person was taken into custody, police said.